With all these rich musicians jumping on Jay Z’s overpriced streaming music bandwagon, I’m getting a little emotional. Not about Jay Z’s overpriced streaming music service. About the bygone golden era of streaming music’s erstwhile golden boy: SoundCloud. In early 2013, SoundCloud quietly pulled the app “due to resources”. Mercifully, SoundCloud offered a Github link to an app close, though it really resembles a clone of the SoundCloud website. The website lacks the fast, easy browsing that I loved about the app. So now I do my desktop listening with Spotify, and I pay for the privilege. Soon, plenty of silly people will be doing it with Tidal, that overpriced new service from Jay-Z and his rich friends. Of course SoundCloud wants some of that Spotify money. It’s not a charity! And with over 175 million unique listeners a month, SoundCloud is a giant compared to Spotify’s 50 million users. And with Tidal’s glitzy relaunch — and Apple quietly prepping a new iteration of the Beats-powered streaming service — the music industry’s not getting any less competitive. Even YouTube is getting involved. I guess it’s worth admitting that I might not miss SoundCloud’s desktop app from 2011 as much as I miss the nascent state of streaming music in 2011. I miss the time when DJs could upload an original mix of a dozen amazing tracks without expecting a DMCA notice the next day. I miss the time when new artists could completely subvert the ageing major-label model by putting their tracks in front of listeners without a record industry executive getting involved. You can ostensibly still do that on SoundCloud — until your remember that Warner Music is in on it. What will be will be. The internet’s always been a bit of an ad-supported utopia, and it didn’t take corporations too long to realise that they’d make even more money if they owned the content, too. If my precious free app disappears due to lack of resources, I shouldn’t be surprised. 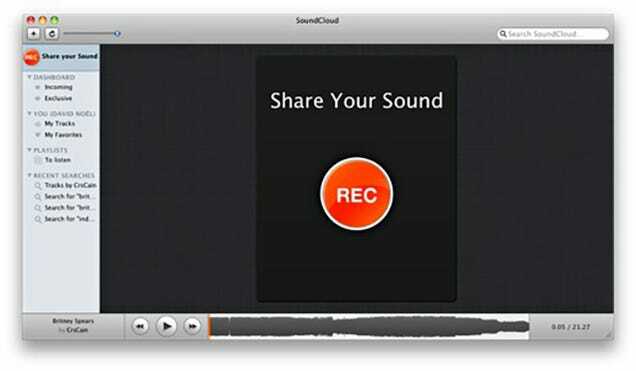 Maybe SoundCloud will bring back the desktop app when it launches its paid subscription service. I’ll pay for it, too. In the meantime, nobody needs to put more money in Jay Z’s pocket.